Spring is that time of the year when we can afford to spruce up, re-organize, clean up and give our homes a fresh, new vibe. But it’s not enough to repaint the living room and replace kitchen cabinets. You child’s room is just as important. Let’s not forget that kids grow really fast; they may love their toys now, but 1 year from now they might have an interest in reading books, for example. This means that instead of buying them stuffed bunnies, your beloved toddlers might want a bookcase in their rooms, or maybe a desk. 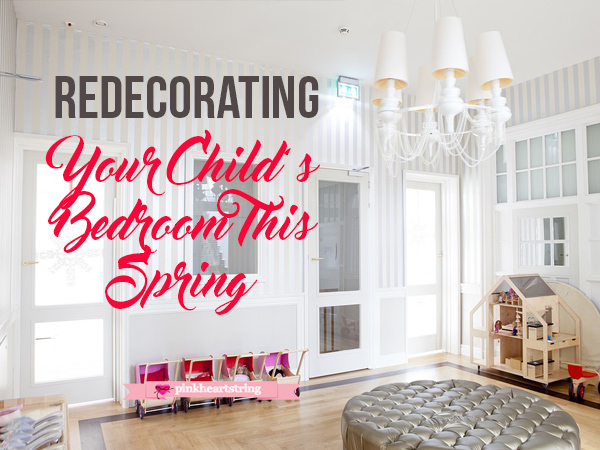 Regardless, it’s best to have priorities, and the following ideas should make redecorating your child’s bedroom a lot easier and stress-free. One of the most convenient ways to revamp your child’s room is with paint. A fresh coat of paint doesn’t cost much, meaning that you can completely change their spaces without breaking the bank. Allow your kid to choose a paint color; they have more than one favorite color, that’s fine too because with more nuances you can craft original drawings, and really make your child’s room look out of this world. It’s nice to change things around your kids’ room every now and then. But this doesn’t necessarily mean that you have to invest a lot of money in replacing everything. Since it’s springtime, you might want to change those black curtains with lighter nuances; allow as much natural light as possible to enter the room, and place flower pots by the window to convey a sense of freshness and bloom. In terms of other items, you can change, we should also mention the desk chair, the posters on the walls, and the area by the window; which you can use to transform into a reading nook. Restoring old furniture pieces is yet another great way of revamping your child’s room without overspending. Wooden desks, for example, can be sanded and painted in a brighter, more upbeat color. The armchairs can be restored as well. Consider new covers in livelier nuances, and add new throw pillows to fill up the empty spaces and create the illusion of a more compact bedroom. Think outside the box and use your imagination to make the space as kid-friendly as possible. For instance, you can add bright stars on the ceiling, or cover one wall in a huge wallpaper. Get your inspiration from your child’s favorite cartoons, comic books, or colors, and create some awesome together. Accessorizing is one of the most convenient ways of redecorating a child’s room. However, you shouldn’t go overboard with the décor. Keep things simple and neat. 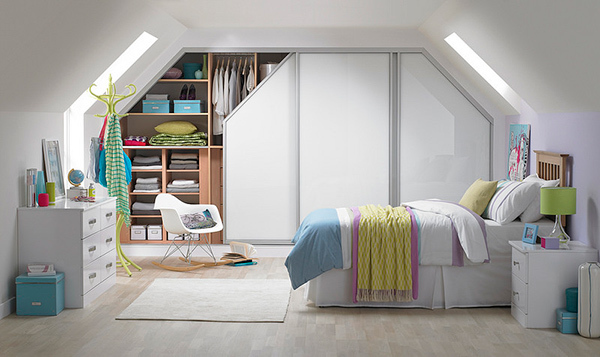 Most kids are disorganized, meaning that the best accessories for them are shelves and storage spaces. Invest in cute boxes where you can place toys, magazines and books. This way their room will no longer look like a war zone when you walk in to clean up. Kids should sleep in comfortable, clean, and eco-friendly beds. It’s very important for parents to make sure the bed of their little ones is safe; and by safe we mean baby cot mattress, cotton linens, quality covers and blankets, and ultimately, high-end pillows. Since we live in a world of heavy pollution and chemicals, it’s only natural to want our kids to sleep in the cleanest possible environment. When it comes to their beds, no parent should make compromises. Synthetic linens and low-quality mattresses may lead to the formation of all kinds of allergies and skin conditions. In the summer, if the bed is not properly ventilated, your child may develop sleeping issues at a very young age. To make sure that doesn’t happen, choose to make a sensible investment; it will be worth the effort in the future. When it comes to home décor, there’s a lot one can do to change the way their homes look like. And the good news is you won’t even have to spend a fortune to make the rooms of your house look fabulous. As far as your child’s room in concerned, the key to making it look outstanding is all about putting your creativity to good use. Disclosure: This is a guest post. All text are provided by the contributor. Love your bedroom ideas. 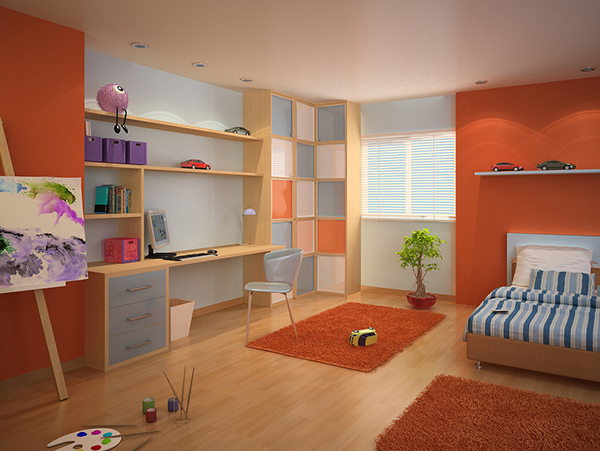 Those rooms are lively and surely enticing for the kids to spend their days and even nights. Would love to do this as well and redecorate the boys room. Such inspiring post. Good tips to any room. I wish we'd have an apartment where painting walls is allowed. We're only having all white walls. Restoring items is also a good one. One of relative changed basically the look of their whole house by just restoring all their wooden items. I consider DIYs to be practical! When it comes to redecorating any parts of your house, sure that DIYs are definitely the best option to make. I would deifnitely agree on your on restoring old furniture! I wish my kids have their own bedrooms already. Right now I can only repaint the walls and move the furniture around. I also like the idea of having themes. These are great tips.We always change our kids room when he grows.Adding age appropriate items is a good thing too.Books,toys are great for new look.. I agree that paint is the least costly way to update a bedroom or any room in the house. Accessorizing also is another least costly way. This is most true when you use the child's existing things for this purpose. Decorating is one of my favorite hobbies. I think the single best thing to redecorate a room that would make the biggest impact is repainting the bedroom with a totally different color than the previous one. I can't go all out in redecorating my toddler's room because it's not her permanent room yet so I have to hold off on my ideas. Thank you for sharing these tips. I'll bookmark your post so I can go back when I would need it in the future. Those are impressive ideas. I don't have a child, yet I think I can apply those tips on my own room. Painting the wall is quite difficult as we always hire people to do that. My room is too messy and I think that I am just going to put a verdict regarding the papers and books in my room. I just have a small bookshelves but too many books. So, I guess, I will just donate the old books.